When Duke Nukem said “hail to the king, baby,” I don’t think he was talking about himself. He probably was talking about the gigantic king of the monsters himself, Godzilla. It’s been several years since we’ve last heard about the next Godzilla film at Comic-Con. 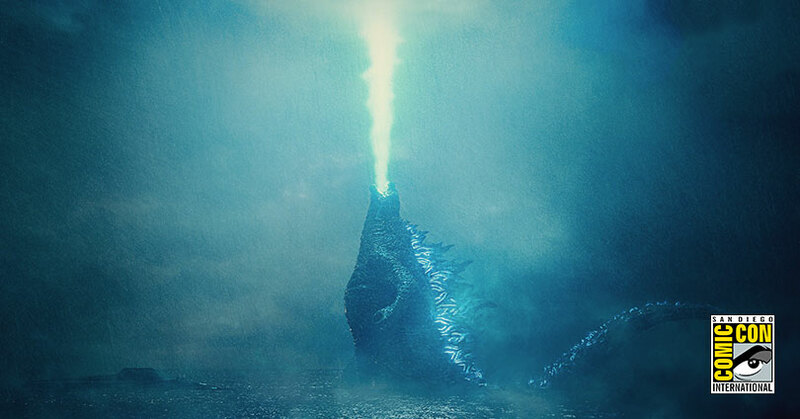 Original Godzilla director Gareth Edwards gave fans a teaser for the next film which had images of Mothra, King Ghidorah, and Rodan. These three monsters are some of the most iconic villains in the entire Godzilla franchise. When Warner Bros and Legendary wants to go big, they swing for the fences. Today, the wait for the very first trailer is finally over. Today at Hall H, Warner Bros revealed for the very first time the new trailer for Godzilla: King of the Monsters. Check it out! Most teaser trailers doesn’t quite reveal a lot of stuff about the film. They tease certain things and make the big reveals later when the official trailer comes out. Godzilla: King of the Monsters didn’t play by those rules. I guess the major criticism about Godzilla barely being shown in the first film was heard loud and clear. In the trailer, you get to see Rodan, Mothra, and King Ghidorah in all of their glory. There’s no teases this time around. Not to mention, we see HOW these iconic monsters come into this story. It’s all thanks to Vera Farmiga’s character. Since, of course, the only logical way to take down a monster IS THROUGH THE AWAKENING OF OTHER MONSTERS. It’s not a good idea when you read it. However, this stupid decision is (hopefully) the result of some epic Kaiju battles. For more coverage from this year’s Comic-Con, be sure to click here. Godzilla: King of the Monsters battle in theaters on May 31, 2019. The post SDCC: The king returns in Godzilla: King of the Monsters trailer appeared first on Nerd Reactor.